When Hiley Hyundai made the most of LotLinx, we made the most of their sales. When we hear how the LotLinx platform is helping one of our dealer-partners thrive, it’s music to our ears. So you can be sure the recent success story from Hiley Hyundai in the suburbs of Fort Worth, Texas had us singing in the halls. When sales manager Trey McGee joined Hiley Hyundai, the LotLinx platform was already in place. But it was a small part of a larger digital strategy. Trey quickly determined he could achieve a lot more with LotLinx. And he was right. He expanded the platform to support used car sales, and began using the VIN View Optimizer ™ to pinpoint the cars he needed to move the most. The results tell the rest of Trey’s story. 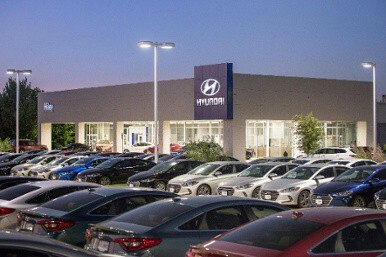 In June of 2016 alone, Hiley Hyundai saw a 74% increase in new shoppers on their website, paid just $2.95 per VDP view, and saw a 104% ROI on their LotLinx campaigns. You’ll find the complete success story here, and our complete library here. Once you’ve heard what a powerful impact LotLinx is having on our dealer-partners’ sales, you’ll want to schedule a demo. We’ll be standing by.